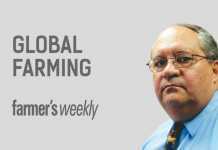 Home » Tax & Management » Global Farming » Benefits – what benefits? Theoretically, trade agreements benefit all trading partners – but currently, this is patently untrue in the case of South Africa. Since Adam Smith’s day, economists have believed that freer trade benefits all trading partners. However, since before Smith’s time, countries have supported and protected their own industries, thus preventing free trade. When agricultural trade was included in the World Trade Organisation’s multilateral trade agreement in 1994, the trade-distorting measures in many countries had to be addressed. But despite a lot of declarations since then, the world is no nearer to a global free-trade environment. In addition to the multilateral trade agreements between WTO members, countries can enter into trade agreements with other countries, either one-on-one (bilateral) or with a group of countries in a specific region.The closest form of regional integration is the customs union. The EU is a well-known example of this. South Africa, Botswana, Lesotho, Namibia and Swaziland (the BLNS countries) are partners in the oldest customs union in the world – the Southern African Customs Union (SACU). A customs union has a common external border and very little restriction on trade between the different states. In our case, though, this only works in one direction. While South Africa provides duty-free entrance for products produced in the BLNS countries, BLNS countries use various measures to restrict imports of our products. This is legal, as the SACU agreement provides for various trade limiting actions by the BLNS countries. In addition, the countries enjoy provisions that enable them to import products at low or zero tariff rates. The SACU, then, holds very little benefit for SA, as does SADC, as we provide for low tariff exports from these countries. In the late 1990s, South Africa entered into a free trade agreement with the EU. Initially it seemed as if we would benefit more from this agreement than the EU since the agreement provided for an asymmetric decrease in tariffs. In other words, the EU had to lower tariffs on a series of designated products at a faster rate than SA. Unfortunately, the lower tariffs did not generally result in higher exports from SA to the EU, due to very strict phyto-sanitary measures and our government’s failure to provide proof of compliance with these. The ongoing battle to regain SA’s foot-and-mouth disease-free status and to supply enough evidence to prove that the country is free of mad cow disease are two examples of this. The global market is heavily distorted by producer and export subsidies and high import tariffs. Switzerland, Japan and Scandinavian countries like Norway are among the biggest supporters of local agriculture. In fact, out of all countries, the signatories of the European Free Trade Agreement (Iceland, Norway, Liechtenstein and Switzerland) are probably the least attractive from a South African trade viewpoint. However, South Africa has entered into a series of trade agreements with these countries! How these will benefit us is anyone’s guess. Theoretically, there are various ‘trade remedies’ a country can resort to. For example, anti-dumping duties can be used if a country can prove products are imported at lower prices than the ruling process in the country of origin and at the same time prove that the imports caused damage to local industries. In the ‘real world’, however, it is extremely difficult to obtain anti-dumping tariffs. SA’s poultry industry excepted, very few successful agricultural actions were lodged in the past decade. In addition to anti-dumping duties, there are WTO-specific measures, such as countervailing duties and ‘special safeguards’, countries can use to protect their markets. But the chances of getting the SA government to introduce such measures successfully are very slim indeed. In short, while it is theoretically beneficial for us to enter into various trade agreements, in reality South Africa has more to lose from such agreements. Since agriculture became a part of the WTO’s multilateral system, no real trade reform has taken place. In fact, world trade is probably now less free than it was a few years ago. Global trade is largely driven by pragmatism and not by complex treaties entered into in Geneva and elsewhere. As South Africa is favourably situated to supply the less sophisticated markets in southern and northern Africa, we probably should spend less time on trade agreements and more on actual exports. Dr Koos Coetzee is an agricultural economist at the MPO. All opinions expressed are his own and don’t reflect MPO policy.